If you have missing teeth, traditional dentures are not your only option. In fact, a much more natural-looking and feeling dental procedure can replace missing teeth for a better aesthetic and improved chewing and speaking – and the best part is, it’s permanent. Dental implants from our Beverly Hills cosmetic dentist can replace what you have lost with incredible functionality and results that both look and feel like natural teeth. Dental implants are a fixed, long-term tooth replacement option that combines an implanted titanium post with an attached restoration to recreate a complete, functional tooth. Among dental restoration options, dental implants are considered to be the most natural-looking replacement for missing teeth. Whether tooth loss was caused by decay, injury, gum disease, oral defects, or other issues, dental implants can provide durable replacement teeth. Unlike removable tooth replacement options, dental implants can deliver unparalleled security and stability, which reduces the risk of gum irritation and eliminates slipping. A full smile achieved with dental implants can improve quality of life and self-confidence when smiling, talking, chewing, and speaking. For optimal results, all dental implants are highly customized according to the specific needs of each patient and designed to fuse permanently with the jawbone. Candidates for dental implants may have a single missing tooth or several missing teeth. Since the implanted titanium post must fuse to the jawbone, ideal candidates for dental implants need to have sufficient jawbone density for support. Good candidates will also be in good overall health and have healthy gum tissue. During the initial consultation, Dr. Sands will perform a comprehensive oral exam and determine if dental implants could be the right option for you. Some patients with inadequate jawbone density may have the option to undergo a bone grafting procedure to add healthy jawbone volume. 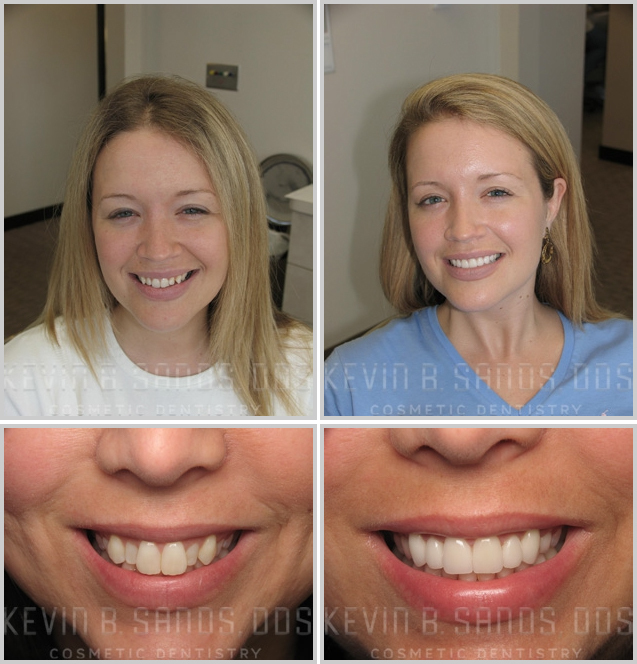 A single tooth implant is comprised of one titanium post and a custom-made porcelain crown implant restoration. Each single tooth implant is designed to replace one tooth and closely mimics the structure and function of a natural tooth. Patients can brush, floss, and eat normally to maintain good dental hygiene. As an additional benefit, the implant restoration is color-matched to blend beautifully with the surrounding natural teeth. Implant-secured dental bridges can replace several adjacent missing teeth with a single restoration. This alternative to a fixed or removable bridge offers superior stability and natural-looking aesthetics. Depending upon the number of missing teeth and the patient’s jawbone density, multiple teeth dental implants may be supported with two to six titanium posts. Implant supported dentures, also referred to as anchored dentures, are designed to replace an entire row of teeth. These popular denture alternatives are securely held in place by strategically placed dental implants. When the All-on-4® technique is used, two implants are placed on either side of the front of the mouth and two additional implants are placed on either side in the back, angled posteriorly. In rare cases, the All-on-4® technique can be completed in a single visit, otherwise known as “Teeth in a Day.” For patients who require additional implant support, a modified strategy involving six (All-on-6) or eight implants may be recommended. Full arch dental implants can replace the upper and/or lower arches of teeth, depending on the patients needs. When both arches are replaced at the same time, the process is often referred to as a full mouth restoration. During the consultation process, Dr. Kevin Sands will perform an oral examination and discuss your dental implant goals. Using our advanced Planmeca ProMax® 3D imaging technology, he can capture dynamic images of your mouth to facilitate doctor-patient communication and begin the planning process for the dental implant procedure. These images offer a comprehensive view of the mouth that allows you to thoroughly understand the treatment approach and results you can expect. The dental implant procedure is designed to improve the appearance of your smile and restore full function of your bite. Typically, the process takes place in two stages, the surgical procedure followed by placement of the finished restoration. First, a thin titanium rod is carefully inserted and anchored into the jawbone in the area of the missing tooth. This implanted rod serves as an artificial root for the replacement tooth, keeping the crown securely in place. In order for this stage to be successful, patients must possess adequate jawbone density and normal healing capabilities. For patients with minimal jawbone density, a bone graft may be performed prior to the implant stage to provide a more stable foundation. Around three to six months after implantation, the titanium rod should fuse with the jaw and become a permanent part of your mouth. During this healing period, a temporary crown can be worn to fill the space of the missing tooth. 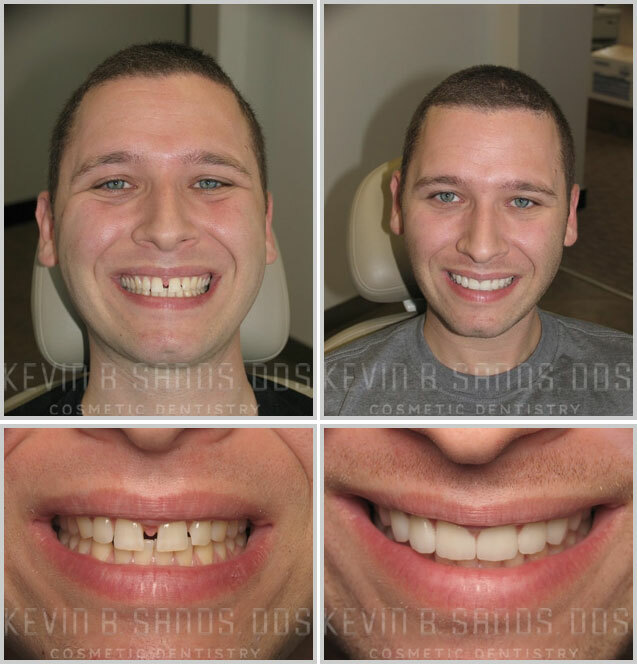 When the rod is determined to be anchored and healed, Dr. Sands can attach a custom restoration that is designed to blend naturally with your surrounding teeth. These crowns are created using digital imprints from the Planmeca ProMax® 3D system for a precise, comfortable fit. What Results Can I Expect with Dental Implants? The result of your implant procedure can be a replacement tooth that looks, feels, and functions like your natural teeth. Your dental implant can not only enhance the beauty of your smile but improve your ability to chew and speak confidently as well. Your dental implants will be designed to achieve a perfect fit and maximum stability, making it a more comfortable alternative compared to other tooth replacement options. No special cleaning or treatments are required to maintain dental implants, and patients can brush and floss as usual. After some time, many patients forget that they have a replacement tooth at all. 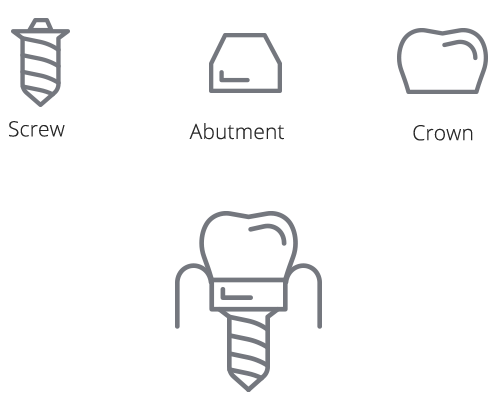 While the dental implant post is designed to remain intact for a lifetime, implant restorations (i.e. crowns, bridges, and dentures) made from high-quality materials typically last at least 15 years, often even decades, with proper care. Practicing good dental hygiene (brushing and flossing twice daily), undergoing professional cleanings/examinations every six months, and protecting your restorations with a mouthguard if you clench/grind your teeth at night or play contact sports can all help keep your dental implants in great shape long-term. Bridges are custom designed to replace one or more (adjacent) missing teeth. A dental bridge features a row of fused tooth restorations to fill the gap and can either be a removable prosthetic or fixed in place by two crowns. A partial denture is a removable prosthetic device that is custom-designed to replace multiple missing teeth (adjacent and non-adjacent) throughout the upper or lower jaw. Typically, the tooth restorations are attached to a resin base that is tinted to match the color of your natural gums. The partial fits snugly in place and may use small clasps for added stability. When an entire arch of teeth is missing, a full, removable denture can provide a natural-looking replacement for all the upper or lower teeth. A denture is one piece, usually a resin base with a full arch of prosthetic teeth attached. Dentures are customized to fit over the gums and remain in place with the help of suction and/or adhesives. When the dental implants you want are not a possibility due to health complications, bone density concerns, or other compromising conditions, Dr. Sands can help you explore the next available options for completing your smile. How Do I Choose the Best Implant Dentist for Me? When you select an implant dentist, you want to be sure that he or she has the proper training, credentials, and experience to perform the procedure successfully. Doing research online and getting recommendations from friends can be helpful, but be sure to follow up with a call to the practice and/or a consultation so you can ask questions, examine before-and-after photos, meet the dentist, and learn everything you can upfront. At our practice, Dr. Sands works together with top dental implant specialists who uphold the same commitment to excellence as he does. In this team approach, Dr. Sands uses his aesthetic expertise to design and place high-quality implant restorations, while the surgical implantation of the posts is performed by the most appropriate specialist for your unique treatment needs. Utilizing the advanced surgical skill of an implant specialist helps keep patient’s treatment plan options broad, implant success rates high, and the potential for complications low. Best of all, the team approach offers Dr. Sands uninterrupted focus on what he does best: create beautiful smiles. If you are considering dental implants and looking for a superior team that combines the highest-quality aesthetics with outstanding surgical care, we encourage you to contact the practice of Dr. Sands for a consultation. Dental implants serve as permanent replacement teeth, and consequently, our patients frequently consider the procedure to be an investment in the future of their smile. The cost of dental implants is more than traditional bridges or dentures, but our patients have found the long-term benefits to be well worth it. To give you a frame of reference for dental implant crown pricing, the average cost for high-quality implant crowns in Los Angeles and Beverly Hills is between $2000 to $5000 per tooth. However, there are many factors that can affect the total expense of treatment. It is important to note that this average does not include the cost for the implant post or the surgical implantation aspect of treatment. Additionally, crowns (and other implant-supported restorations like bridges and even full-arch dentures) can be crafted from a variety of materials, using several different techniques which vary in price. The plan you and Dr. Sands agree on will determine the total cost for your implant restoration. Please be aware that your overall estimate may be higher or lower than the average we’ve presented. While low prices can be attractive, Dr. Sands recommends patients carefully research the credentials of prospective dentists, as their knowledge, experience, and aesthetic sensibilities can greatly impact the final result of the procedure. As a top Beverly Hills cosmetic dentist, Dr. Sands has all of the vital qualities and credentials necessary to create beautiful, long-lasting results with implant restorations. At the end of your consultation, Dr. Sands provides an exact price quote for your dental implant procedure. If you have dental insurance, our friendly staff can help you navigate your benefits package and complete any necessary paperwork. Dental implants are a worthy investment that can give you a lifetime of healthy, beautiful smiles. If you would like to schedule a consultation for dental implants at our Beverly Hills practice, please contact Kevin B. Sands, DDS today! A visit to Dr. Sands makes one feel like a VIP. From the first greeting from the office staff, to dental assistants to the fabulous dentists everyone is kind, compassionate and fun. The patients are treated as invited guests to be made happy and comfortable. And on top of it, they constantly produce an excellent product in a beautiful, comfortable environment. Dr. Sands and his staff were fantastic. I was amazed with the degree of determination that Dr. Sands puts into his work. It’s truly and art to improve someone’s smile the way he has. Feel very comfortable walking into their office and later walking out with a great big smile! Dr. Sands is a true perfectionist and it’s apparent after seeing the results. I am very pleased and I would have to call what he does and art form. The entire experience and staff at Dr. Sands office, from appt reminders, to the reception, to the dental services are exceptional. Dr. Sands not only does beautiful work, but is hilarious to boot. The other regular dental services are done gently yet thoroughly. The equipment is always the latest technology and makes going to the dentist as painless as possible. I’ve been coming here for just 2 years for a variety of services, and I wouldn’t go back to anywhere else. Ready for a Stunning New Smile?